Mother’s are the ones that make this world go round’. If we didn’t have mother’s none of us would be here! Mother’s Day is a special day to celebrate all of our moms and show them how much we love and care for them. Like everything else, it’s not always about the gifts, but gifts are extra important on this day no matter what it may be. 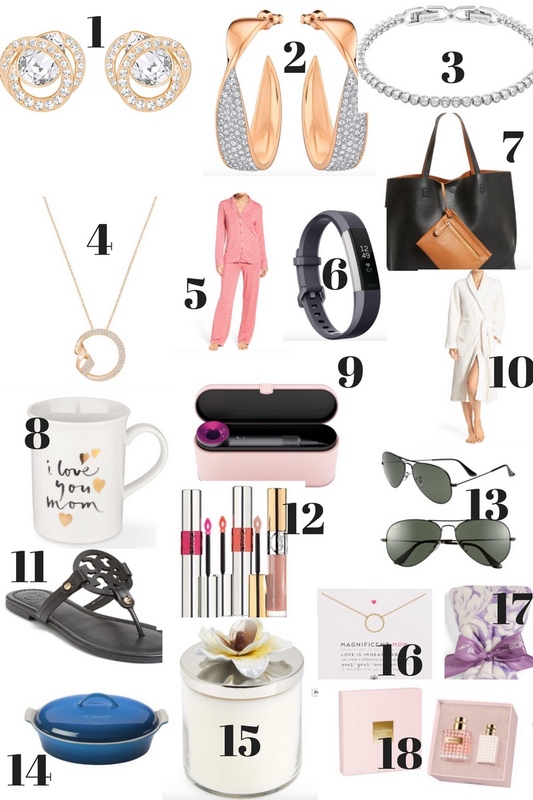 Mother’s Day is one week away, so I’ve put together a little gift guide! These are just some ideas. Some other suggestions would be of course, anything homemade, flowers, cooking breakfast, etc. Just spend some quality time with your mom today. If she’s not around anymore, just know she loves you. Very thoughtful post and really helpful! Timely, as ai am here running around like a chicken with no head. My mom would love these reversible tote. She is such a tote ladyyyy. The tote is so nice! I love that it’s reversible! I’ve been eyeing upgrading my FitBit Flex 2 to the Alta HR – I’ve been seeing it on a LOT of mother’s day lists! Me too! My mom & I are going to get matching ones! Awww Theresa Marie!! I love that you did this!!! 🙂 Have a wonderful night, and I hope you had the most amazing Mother’s Day. The mug is magnificent.